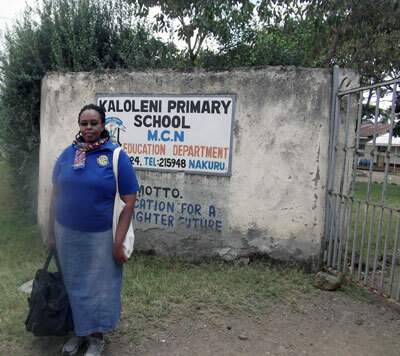 Jaine Kamau wrote to Books for Life, an educational branch of Trees for Life, telling that her Rotary Club in Nakuru, Kenya wanted to start a mobile library service for the families in her community. Two boxes were sent to the school and community to increase the number of books for the mobile library. holding books sent from Books for Life. in appreciation for the Books for Life received. 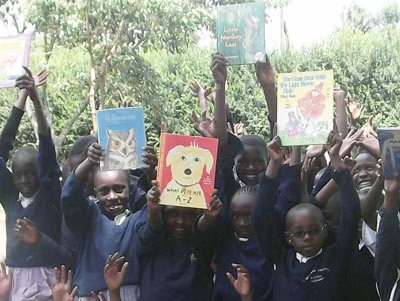 A request came from Kenya in March of 2013 for books from Books for Life. 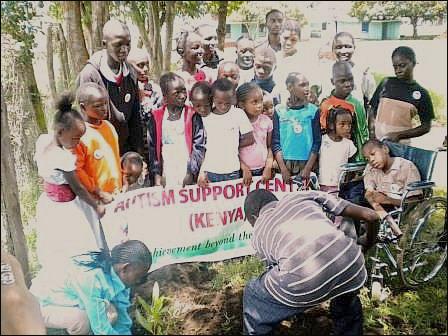 James Karanja, who has a Special Ed degree from Maseno University and a Certificate in Autism, is working with 20 children and young adults on the autism spectrum from poor families in Nairobi. Working with kids with special needs has always been James’ passion since he was in high school. He was a pioneer teacher of the Autism Unit in a Nairobi school. In 2011 James started an organization that could make a positive impact on the lives of those on the autism spectrum and help them achieve beyond their disability. He teamed up with Sara Jamal and some parents of kids with autism to found Autism Support Center-Kenya. James greatest inspiration comes from playing, laughing, dancing, learning and simply being in the company of kids with autism. James is also involving kids in growing tree seedlings that are later adopted by the community to promote environmental conservation and raise funds for the group. The youth planted two trees in appreciation of the books and buttons we sent to them! We wish them “happy learning” with their box of books! Help Books for Life and Trees for Life with a hand up to people worldwide wanting a life of hope through education. In the process of doing Spring cleaning three of our volunteers have been finding homes for items no longer needed at Trees for Life. 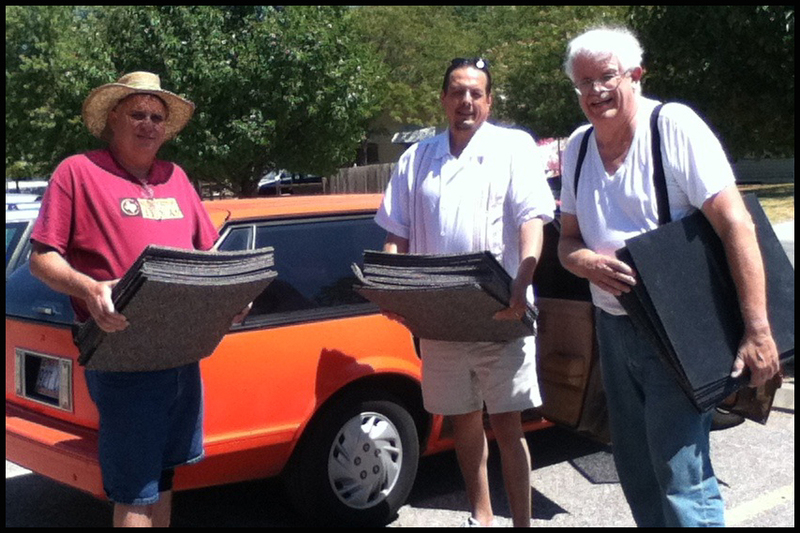 Rafael Jimenez of Wichita, KS, saw online we had carpet squares to give away and came to pick them up. He will take them to Matamoros, Mexico for a children’s room in a church so they won’t have to sit on concrete during their studies. 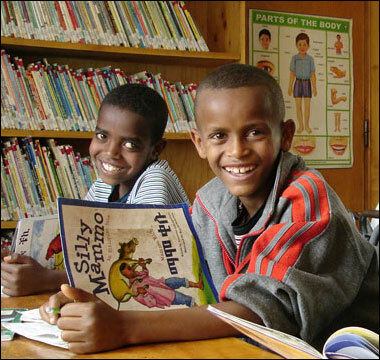 Books for Life is about bringing books to children around the globe to instill the joy of reading. That includes places in the USA when we are able to network with other organizations such as the Dodge City Bookcase Project. Above is a photo of David and Sheila Grayson of Dodge City, KS and the staff at Trees for Life in Wichita, KS. The Graysons founded the organization called the Dodge City Bookcase Project. The Graysons facilitate the making of bookcases for children in need. The children are given a starter bag of books and a hand-made wooden bookcase with a plaque that has the child’s name on it. 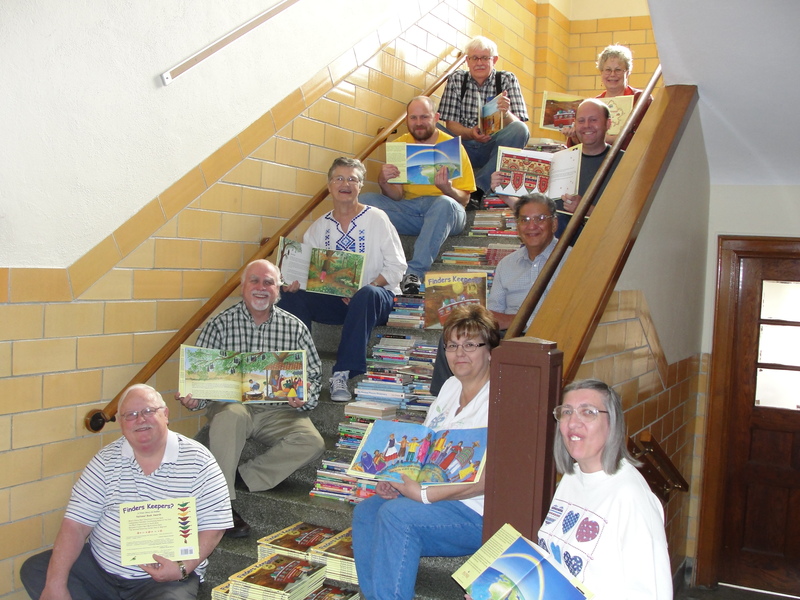 Trees for Life coordinated with Dillons Stores in 2009 with a state-wide Kansas book drive. As a result of that drive, people are still bringing books to the office. 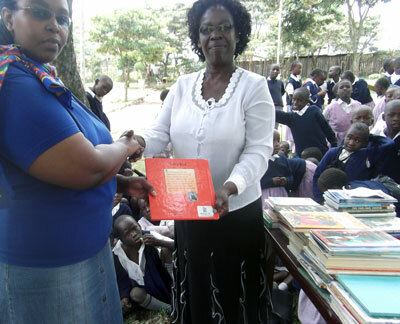 We were able to donate books for the Bookcase Project in 2009, 2010 and 2011. The Graysons came to Wichita in November, 2011 and loaded their car with 500 books to give a starter set of books for each child when they received their bookcases on November 12, 2011. The Graysons (bottom of step on the left and right sides) are pictured with the books. Where there are books, there is reading. Where there is reading, education happens. Where education happens, people prosper.